Bill Graham's Rock & Roll Revolution Museum Exhibit Opens in Philadelphia! We are pleased to report that the hugely popular Bill Graham Rock and Roll Revolution Museum Exhibit has just opened at The National Museum of American Jewish History. The exhibit runs through January 16, 2017. This is the first appearance of the exhibit on the east coast after wildly enthusiastic crowds on the west coast. As readers of this blog are well aware, we highly encourage everyone east of the Mississippi river to find a way to attend this exhibit. It is a truly thrilling experience to see all of the incredible concert posters, handbills and photographs, and ALSO to see throngs of regular folks enjoying the exhibit as well! In this regard, don't be shy about bringing your non-collector family and friends along for the experience, they are guaranteed to leave happy that they came along, and will have a new found respect for your interests and hobby. For more details, see our earlier reports about our visits to the Bill Graham Exhibit in both Los Angeles and San Francisco that were published in this blog. Also, to supercharge your visit and transform it into a truly epic and memorable day, call us for a private visit to our Gallery which is located just 90 minutes south in Baltimore, Md. If you make arrangements in advance, we will roll out the red carpet and make sure you get to see material that cant be seen anywhere else—not even in a museum! And of course, if you have material to sell, our international clientele allows us to offer you the highest cash prices available in the marketplace. We are excited to announce that we will be hitting the road over the coming days and weeks so that we can meet and do business with our clients face to face. Our first stop will be The Long Beach Coin and Collectibles Show September 8, 9, and 10th, where we will have a table to buy and sell 1960’s posters. Our purpose for attending this show is several fold. First, we hope to meet with our friends and clients in Southern California. If you are in the area, please plan on stopping by. If you have posters to sell, we will be able to offer you immediate payment on the spot. If you are looking to buy, we will have a wide variety of the finest quality inventory available anywhere in the world. If you have a large collection you wish to sell, please let us know NOW, and we will make arrangements to come to you! In any event, if you are anywhere near the Lon Angeles area, we hope to connect with you next week! 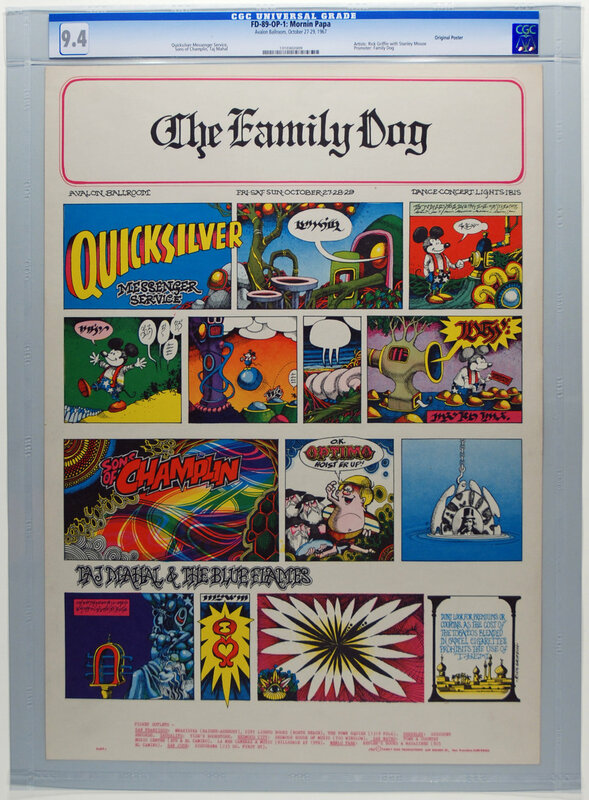 Our second reason for attending the show is that we have had an outpouring of inquiries about Vintage Rock posters from our longstanding friends and relationships within the professional collectibles community, ie dealers. These dealers understand the major significance of the introduction of independent, third party CGC Grading within our hobby and want in, in BIG WAY. These dealers have witnessed first hand the dramatic effects of increased demand, liquidity and prices that third party grading has brought to coins, paper money, baseball cards and comics and they want to participate in this new and exciting emerging market. Many have told us they believe that posters have MORE POTENTIAL than any of these other collectibles due to their beauty and ability to display, the massive popularity of the legendary bands, their historical significance, the minuscule production numbers, their extreme rarity Museum Quality condition, and ridiculously cheap prices. Many have already asked us for “first shot” at whatever we are bringing, so if there is something in particular YOU are looking for, please let us know in advance so we can hold it back if we have the item available. 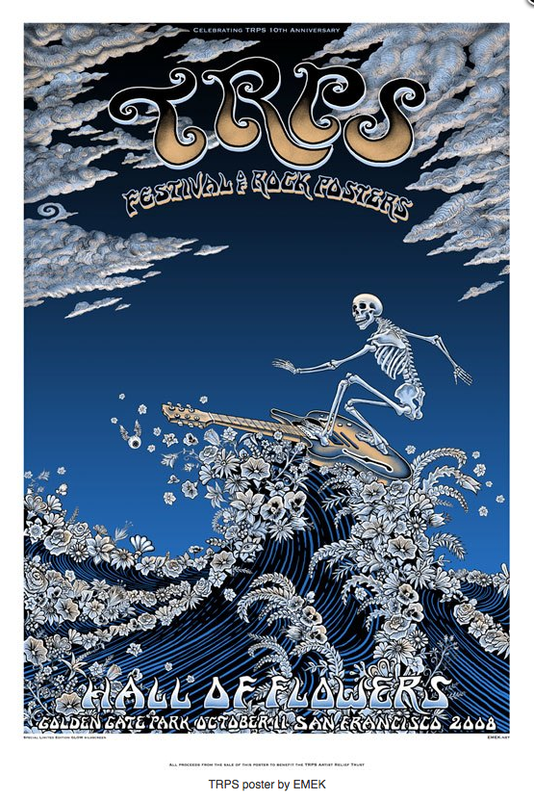 The second stop we will be making is to the annual Festival of Rock Posters on October 22 in San Francisco. This event is the premier Rock Poster show of the year and is put on by The Rock Poster Society. (TRPS). If you are anywhere near the San Francisco area, of frankly, anywhere west of the Mississippi, we highly encourage you to attend this event. Again, we will be in San Francisco to both buy and sell, and if you have a large collection you wish to offer us, please let us know NOW, so we can make separate plans to come to YOU. Also, as we have said many times before, we highly recommend that all collectors become members of TRPS. With all of the excitement that is currently brewing in our marketplace now, we look forward to meeting with you in person in the coming days so that we can discuss a personal plan to achieve your collecting goals! 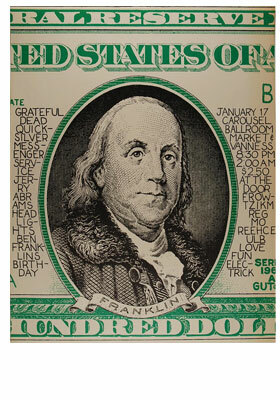 For details on The Long Beach Coin and Collectibles show, click here! For details on the Festival of Rock Posters, click here! 1960’s Concert Poster’s Infiltration of Mainstream Society Continues! Anyone that has been paying the least bit of attention has witnessed the proliferation of interest being directed at our beloved 1960’s Concert posters. We have seen exhibits in major international air ports, the most hallowed and respected art museums, and talks of a Bill Graham major motion picture, to name but a few recent developments. Now comes news from Nike, one of the world’s largest and most influential brands, that they are releasing a Psychedelic sports shoe that is covered in the rainbow colors and classic typography that is the trademark of these rare and sought after artworks! When a company like Nike, that spends hundreds of million of dollars on market data, decides that a shoe of this design would have market appeal , it’s a real testimony to the influence and desirability of original 1960’s concert posters. It’s incredible to think that there will be thousands of people walking around in what Nike themselves are calling “concert poster shoes!”. Looking at the big picture, this is just more anecdotal information that all of us collectors are participating in the most exciting collectibles category in the world today! 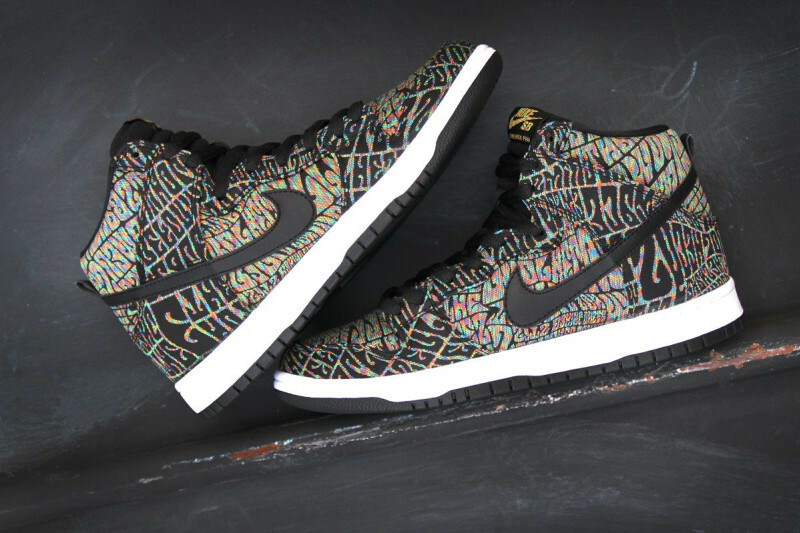 To read more about the Nike Psychedelic Concert poster Shoes, click here! BREAKING! Variety Magazine has reported that a major feature film on legendary concert promoter Bill Graham is currently under development. The film will be based on the book, Bill Graham: My Life Inside Rock and Out. 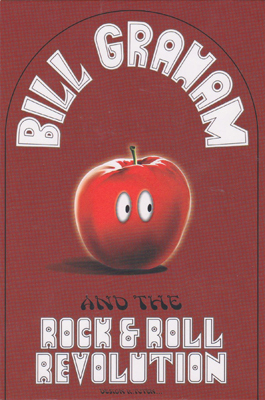 Readers of this blog know that Bill Graham’s Fillmore Posters have always been considered the bluest of the Blue Chip 1960’s collectibles and the release of this movie, along with the Bill Graham Exhibit that is currently criss-crossing the nation at major art museums, could send demand into overdrive. Remember, under 2500 posters were issued (in many cases, much less!) of many of Graham’s early shows. Most experts estimate that probably 10% of these (250) exist in ANY condition, and that just 5-10% of those that do exist (12-25) have been preserved in undamaged condition over the ensuing 50 years. One thing is for sure, if you have holes in your collection that you are looking to fill, there is no time like the present to acquire the pieces you desire while prices are still just 5% of what coin, stamps, baseball cards and comics bring of comparable rarity and desirability. 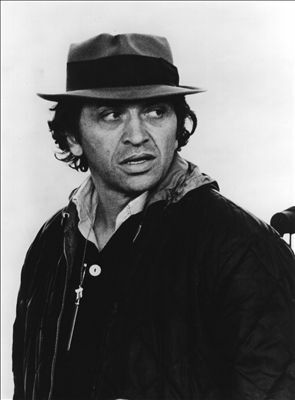 To read more about the Bill Graham feature film, click here! In further news, Wes Wilson, one of the “Big Five” and the most prolific artist to design Graham’s posters, was recently featured in a nationwide interview on NPR radio. Every day the world is bestowing more recognition on the historical importance and desirability of these rare works of art. It’s truly an amazing time to be a collector! To listen to Wes’ NPR interview, click here! Concert Posters are a Different Kind of Paper Asset! As I write this, the Brexit vote has shocked the financial world and stocks markets are crashing all around the globe, driven by fear. As this is happening, one sector of the market is not just holding it’s own, it’s exploding upward – Gold and other tangible assets! Make no mistake about it, this is one of the best reasons to own tangible assets. People understand that stocks are just a commodity item, that can be bought and sold in any quantity, at any moment of the day, with the touch of a button. In contrast, Rare Vintage Concert posters are all but impossible to find, and the tiny available supply does not come close to meeting the growing demand. These incredible artworks are a solid store of value and the appreciation of their historical and aesthetic significance continues to grow with each passing year. It’s no secret that for the vast majority of investors, their best investment is their home. Why is this the case? The answer is simple. You can’t get a quote or your home on a weekly, daily or hourly basis. You don’t decide to pick up and move one morning, based on what the newspaper says that day. You live in your home for a long period of time and your decision to sell is not based on emotion, but on common sense and what your long term life goals are. The same goes for posters. These are pieces of art that are meant to be loved and lived with for a long period of time. While you are enjoying them, it’s satisfying to know that their desirability and importance continues to increase. So you the choice is yours, what will it be? Will you decide to replace fear with love and beauty? Vintage Concert Posters give you the opportunity to do just that!